It’s easy to take movie theaters for granted when you live in a place where the nearest one is a short drive away. But not everyone is surrounded by malls and multiplexes. For some, the options for a night at the movies are considerably slimmer. Take, for example, the nearly 20,000 residents served by the Patricia Theatre, located in Powell River, British Columbia, some 100 miles northwest of Vancouver. There are no other movie theaters in the vicinity of this single cinematic haven; most of its clientele would have to drive for more than two hours—and possibly take a ferry—to find another silver screen. That makes the Patricia more than just an entertainment destination. It makes it a pillar of a community and a public service. 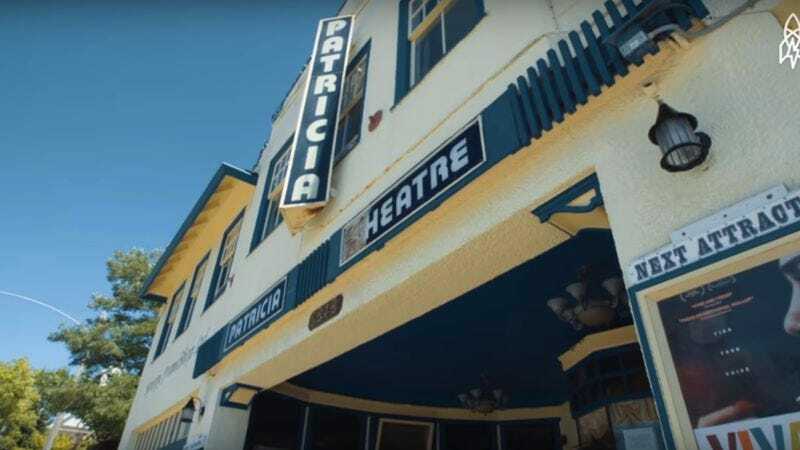 Opened in 1913 and advertised as the “longest running movie theater in Canada,” the Patricia is the subject of “A Century Of Keeping Movies Alive,” the second in an eight-part series of shorts produced in collaboration with the Toronto International Film Festival. This one is mainly a conversation with the theater’s owner and operator, Ann Nelson, who talks about putting off retirement to keep the business going, stopping the developers who wanted to tear the place down in 2000, and making sure to provide her audiences with a variety of new releases. (It’s true: The coming-soon slate on the website promises—“in no particular order”—Miss Peregrine’s Home for Peculiar Children, The Birth Of A Nation, and La La Land.) She’s doing the lord’s work. And the century-long history of this institution deserves its documentary lionization, even if that comes in the bite-size form of a 3-minute tribute.